Part#: 84465495. 2016-2019Chevrolet Colorado Note: Not compatible with all models. 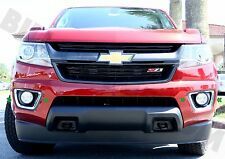 2015 2016 2017 Chevrolet Colorado. Our products are SAE and D.O.T. compliant to FMVSS No.108; and manufactured in our state-of-the-art ISO 9002 and QS 9000 quality certified factory. Set of Two Pieces (Left Driver Side & Right Passenger Side). 9145 HB3 H10 White Led,US Seller,1Day Fast Ship! Interchange Part Number:H8 H11 H9. >> Color: 6000K white. 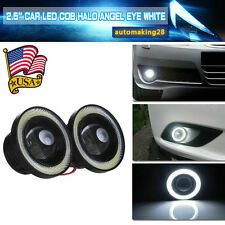 2X White 9005 80W Fog Driving Lights Bulbs H10 9145 Super Power LED Projector. Those are NOT problems of LED bulb and NOT covered by warranty. Interchange Part Number: 9005 HB39005XS. 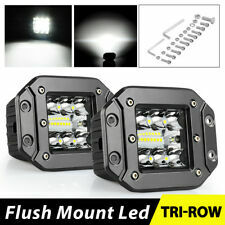 2 x T10 194 168 SMD Canbus Error Free CREE Led Back Up Reverse Light White 6000K. Color temperature: 6000K. 2X 3157 60SMD DUAL COLOR SWITCHBACK WHITE AMBER TURN SIGNAL LED LIGHT BULBS 4057. [LOW POWER CONSUMPTION] - Adopts energy-saving electric circuit, high-brightness LED illumination. [SAFER DRIVING LIGHT] - Superbright but no hurt to other drivers and no-blind area. and work directly with professional manufacturers to provide. PUTCO LUMINIX HIGH POWER LED FOG LAMP PART #MBA12002. PUTCO LUMINIX MADE FROM CNC 6061 T6 ALUMINUM HOUSING. 2015-2016 CHEVY SILVERADO 2500 & 3500. 2015-2015 CHEVY COLORADO. 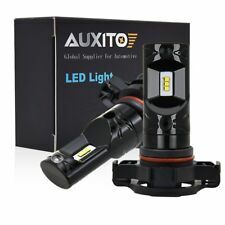 UTILIZES EXISTING FOG LAMP HOUSING FOR OEM INSTALLATION AND ADJUSTABLE DESIGN. You will get a RMA Number with in 24 Hr. P.O. Box, Puerto Rico, Alaska & HawaiiFree. Lower 48 StatesFree. Interchange Part Number: 9005, HB3,9005XS, 9005L . BroView S7 8000LM H4 9003 LED Headlight Conversion Kit 50W Cree 6500K Lamp Bulbs. Power: 50W. LED Type: Osram 3030-SMD. Position: Fog Driving light(Not BrightEnough for Headlight). 2pcs 160w Flush LED Work Lights. Work Light. Once installed, these lights look like an OEM factory upgrade. Paper Model. Quick Heat Dissipation. Projector light color: White. - Durable glass projector lens with housing. 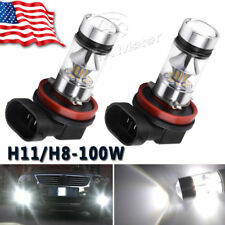 - Fits for all Car, SUV or Truck with the size of 2.5" (64mm) fog light holes. - 4 Wires connection system (2 wires for fog light; 2 wires for light ring). PUTCO NITE-LUX LED H16 BULBS (PAIR). CLEAR LENS WITH LED PUTCO NITE-LUX BULB UPGRADE. 2015-2017 CHEVY COLORADO. FOG LIGHT KIT PART # MBAFL-CCOL15-CLED. Instead, feel more confident than ever with a fog light kit that leads the way, no matter where your travels take you. Power: 180W. LED: 60pcs 3W (Bridgelux LED). Forklift, trains, bus, boat, tanks. special vehicle(fire engine, police cars, rescue vehicle, communication vehicle, military command vehicle). 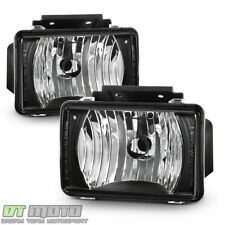 Super efficient reflector lens extends the invalid irradiation range, gives great visibility while driving. GMC Canyon. Chevy Colorado. Driver Or Passenger Side. Our Lights Use the Highest Quality Butyl Sealant to Prevent any Imperfections to Enter the Light Housing. Our main distribution center is over200,000 sq ft in sunny Southern California. 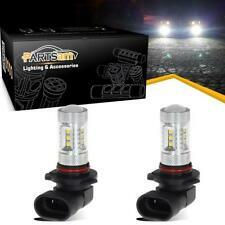 Bright White 3156 3157 Cree 25W Projector LED Canbus Reverse Backup Light Bulbs. 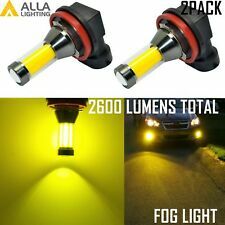 Perfect for Fog Driving Light. Power: 20W. Color: Blue. Very low power consumption,Low temperature. If the LED does not light up, simply flip it 180 degrees (reverse the polarity).